I need someone who can do a quick job for me on my website. I've tried to update my website font and colours after it was hacked recently, but I haven't had any success trying to do this via the editor. My site is brischetto.net and you can see how bad the colours and fonts are - they're not readable. Hoping someone can help me! My name is Finley, and I'm a Wordpress developer that loves working with people. I am based in Perth, Australia. I'd love to help you out with changing the colours and fonts back to what they need to be. I'd also be happy to do a basic security check on your website while I'm at it, free of charge, so you don't get hacked again. 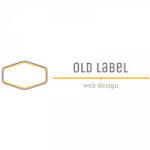 I am a WordPress web developer based in Melbourne. I can easily help you to this. Hi Leanne, I see you have a WordPress website. Modifying the CSS can be easy, I can either help or teach you to make the changes to your text styling or, if you'd prefer, I can carry out the modifications for you. Please call me Nics, I am a wordpress developer since 2015. I am from Adelaide, Australia now. I can work for more than 35 hours a week if its needed. Just message me or drop me a call and i will reply as soon as i can. I will post you some links from my previous jobs and will hopefully look forward working with you soon. Thanks, Looking forward to work with you! We can help you with the CSS, but since you've been attacked it's also good to consider updating and adding some security enhancements. We work with a lot of Cyber Security clients and have a lot of experience protecting hackers from attacking your website!